The primary role of NGO Transmission is to provide firm gas delivery service to the consumers of National Gas & Oil Cooperative and Producers Gas Sales. Transportation opportunities are also available for any qualifying gas shippers within Ohio.  NGO Transmission provides natural gas service to both affiliates and non-affiliates through a network of over 150 miles of pipeline and three underground gas storage fields. These gas storage fields help balance the pipeline system and can provide up to half the daily supply needs for the Cooperative.